Hello friends! I hope you all have been enjoying your autumn! Here in the midwest, autumn means explosive colors, perfect sweater weather, and piles and piles and piles of leaves. 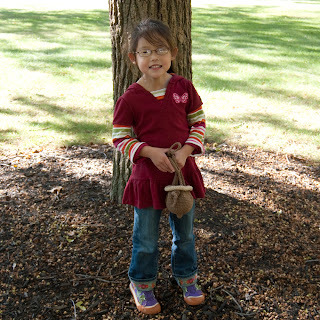 Oh... and one more thing... acorns! And we all know the best thing about acorns, right? Collecting them! 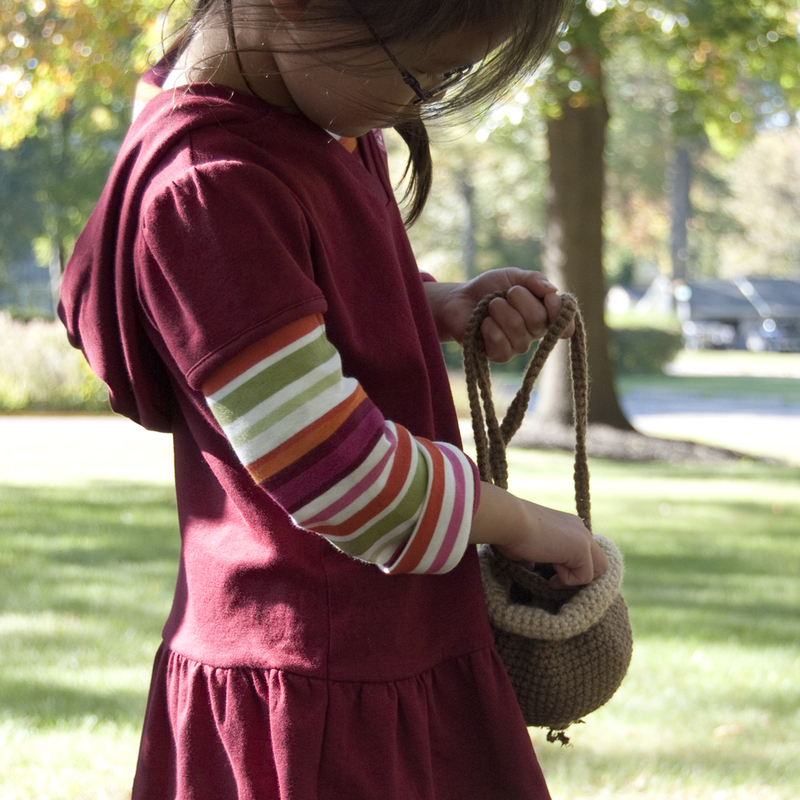 But, with a very-much-on-the-go four-year-old, I'm quickly learning the failings of collecting acorns in your little fists... too many acorns, not enough hands. 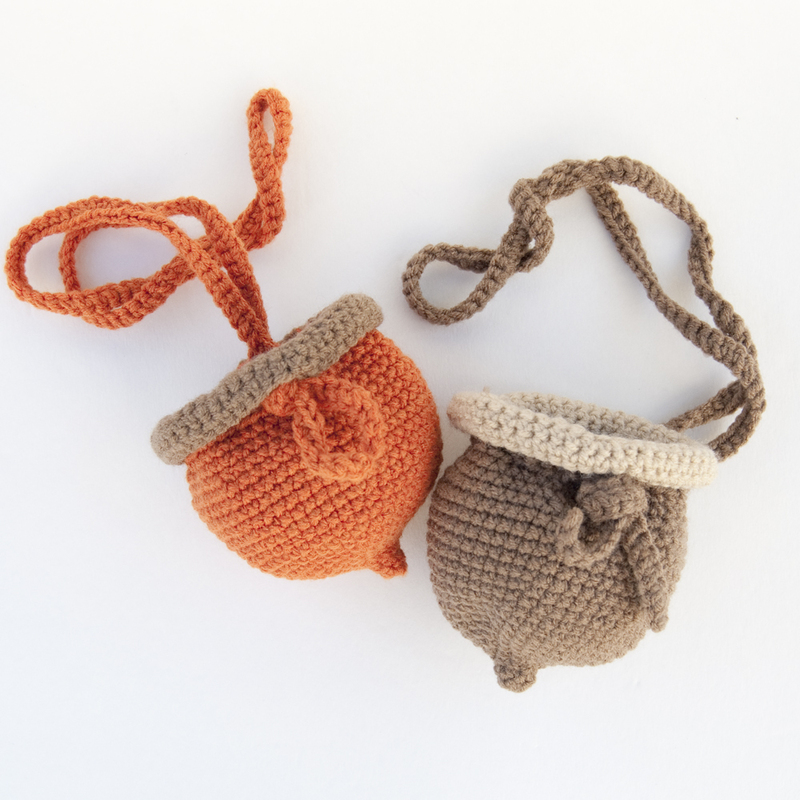 After being handed more than my fair share of acorns to "save," I thought I'd better come up with a better solution... and what could be cuter than collecting acorns with your own little "nutty" pouch?! It's a simple design that (for me at least) works up in a little over an hour. And, so you don't have to do all the math, it's now on Ravelry for free. I hope you and your little ones will have a fun excuse to get out and enjoy fall -- especially now that you don't have to hold all those pesky acorns! 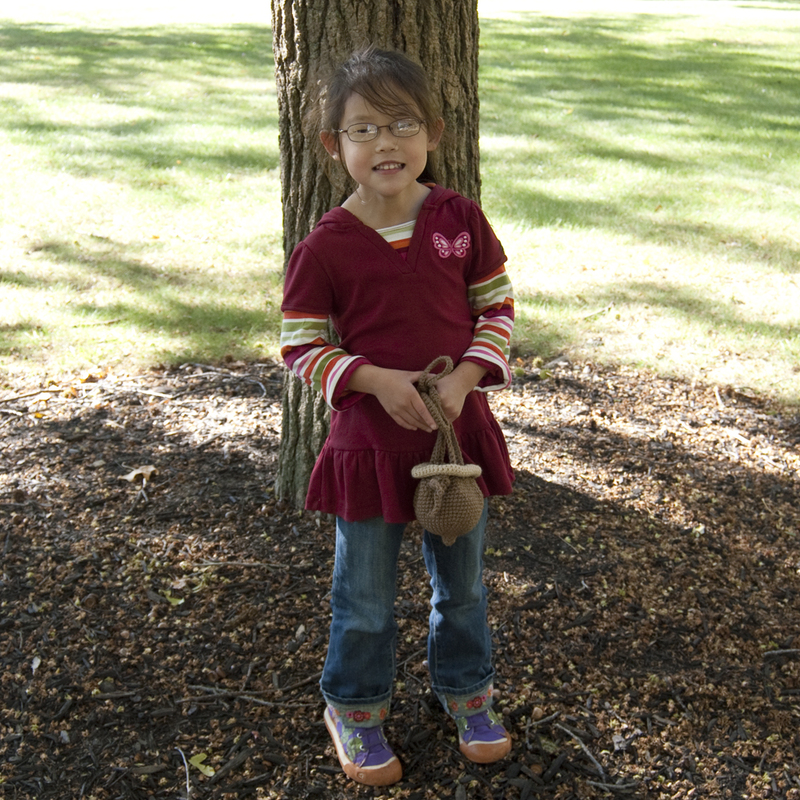 And from me and the Little Miss, Happy Fall! This SO cute! Thanks for sharing! My granddaughter will love it! I want one! I might just make one for myself! Just perfect for Christmas presents!